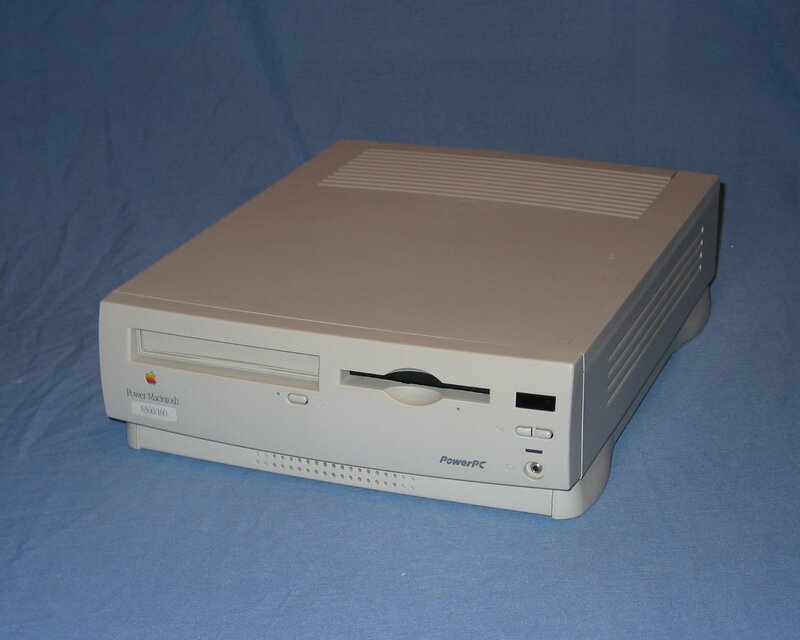 The Power Macintosh 6360/160 was introduced in October 1996 and replaced the 120MHz CPU in the Performa 6320 with a faster 160MHz variant. 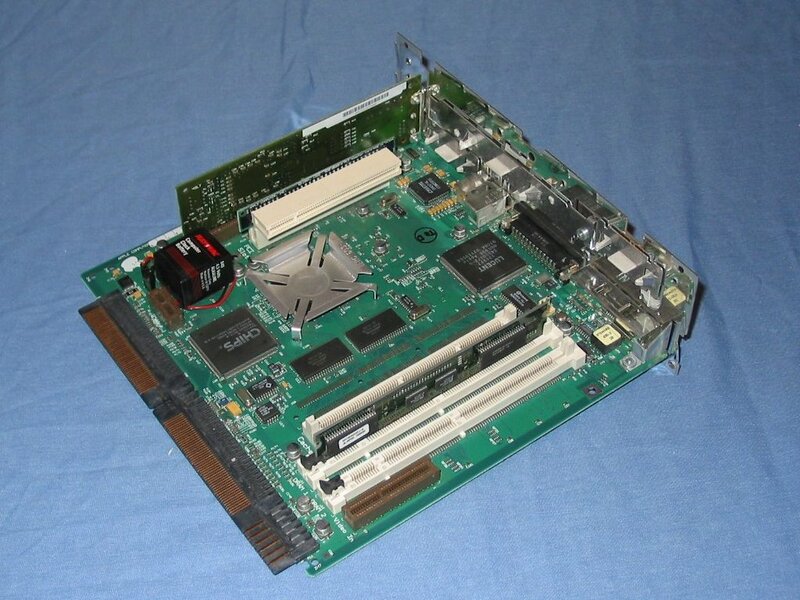 However the motherboard design is closer to that of the 6400 series which means it overcame most of the failings of the 6300 series although its name alone gives it a bad reputation by association. 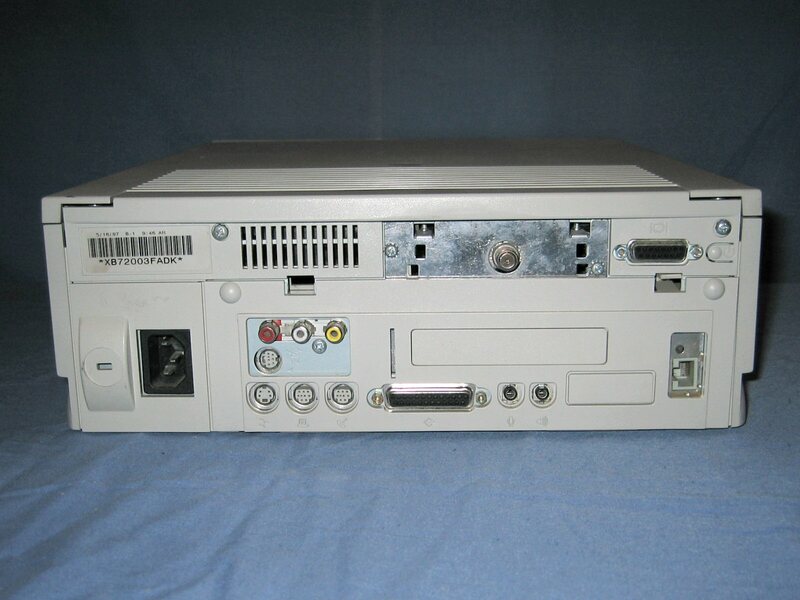 I purchased the system unit with 16mb RAM, 8x CD-ROM, Comm Slot Ethernet, no Hard Drive, and the Apple Design Keyboard and a mouse for $50 at a local Computer Swap Meet. It was then a matter of simply putting in a spare 850MB IDE hard drive I had and attempting to install MacOS onto it. 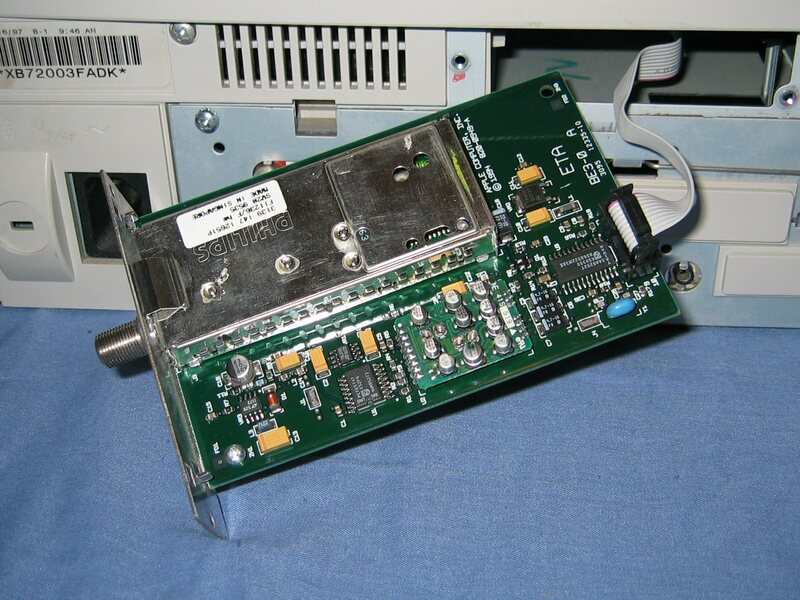 At a later stage I obtained a TV Tuner module and Video IN card from an old Power Macintosh 5200 which is currently installed in this system. 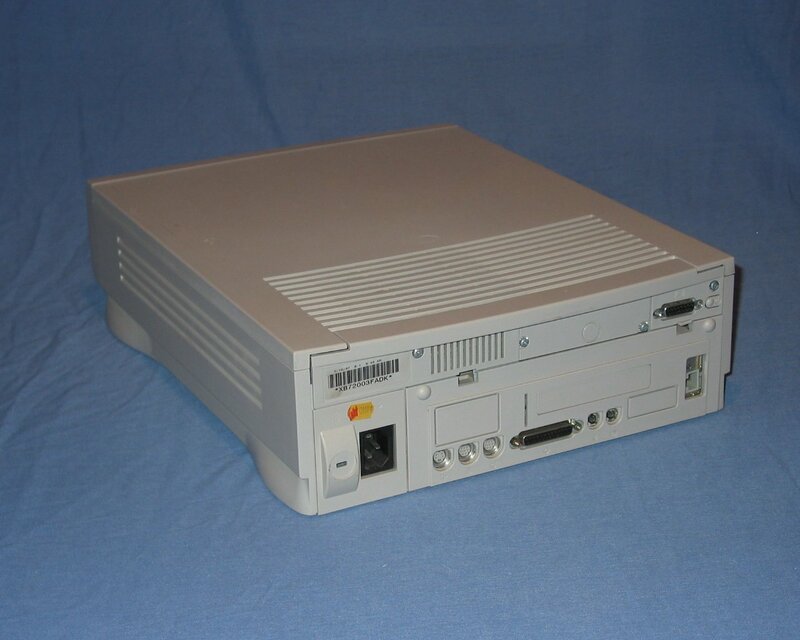 The front of the 6360 system unit is standard for those that follow this chassis design and contains a CD-ROM, floppy drive, volume controls, InfraRed receiver, power LED and a headphone socket. Logic board removed from the chassis. From top to bottom are: ethernet card in the Comm Slot, the small riser card for the PCI slot, battery, CPU under the simple heatsink, various controller and cache chips, unpopulated VRAM slot, two 168 pin RAM slots (one populated), and finally the video in slot. 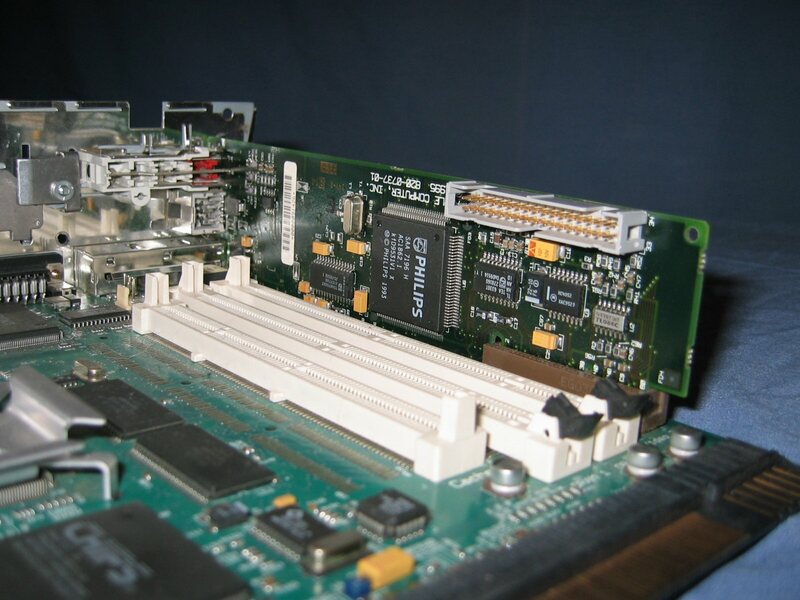 The logic board removed from the chassis. From top to bottom are: ethernet card in the Comm Slot, the small riser card for the PCI slot, battery, CPU under the simple heatsink, various controller and cache chips, unpopulated VRAM slot, two 168 pin RAM slots (one populated), and finally the video in slot. Another photo of the rear of the system unit. However since the previous photo a Video IN card has been installed as well as a TV Tuner module. The slot for the Video IN card is located at the front of the logic board and the card extends all the way to the rear panel where S-Video and composite inputs are provided along with line level audio inputs. The other side of the Video IN card is dominated by a large Philips chip and an expansion connector. 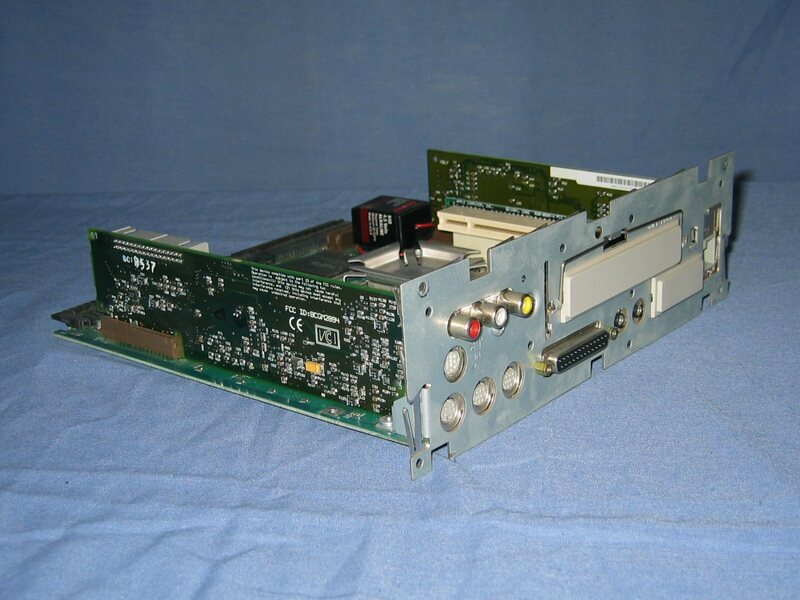 A Philips based TV Tuner module partially removed from the chassis. All communiations with this module are done over the 10 wire ribbon cable. 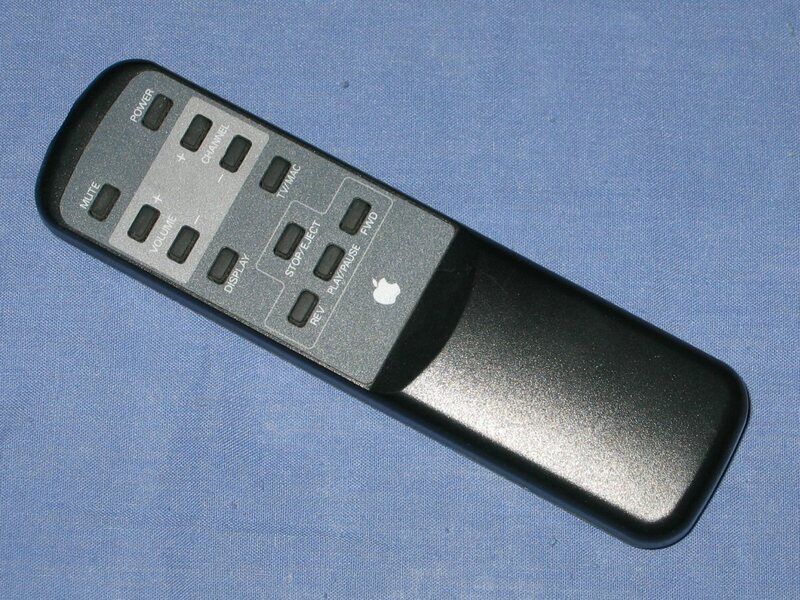 An apple remote control. This can be used on any of the systems that come standard with a front IR port and can be used to turn on the system, adjust the volume level, play CD's and change TV channels. A system such as the Macintosh TV was even intended to be a entertainment system.